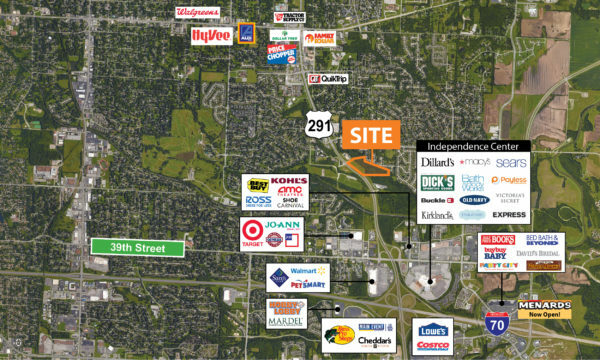 Highly visible land on a high traffic corridor in Independence. Located at a lighted intersection on Hwy 291, between 39th Street and 23rd Street. Ground leases are also available, please inquire for details.